What if it's not "Just a Season"? Seasons come and go. They are ever changing. Although winter might drag on for what seems to be a little too long, eventually spring comes pushing through with it’s new growth and life. For most of us, there are seasons of life that ebb and flow. For example, we try to hang on to the sweet memories of the “infant stage” when the nights with our babies are long but the snuggles so sweet. Although the early years can be hard, we are encouraged to cherish them knowing that this season of life will pass all too quickly. There are seasons of life people look forward to with expectation – whether it be the young family season, empty nest or retirement season, we know that life is ever changing. But what if it’s not “just a season”? What if the predictability of life’s ebb and flow for most people looks nothing like the life you’ve been handed? This is where we find ourselves. Maybe some of you do too? As the parent of a special needs child, maybe you are coming to terms with the fact that there may never be a “diaper season,” “feeding tube season,” “baby toy season,” or “empty nest” season. This may always be our normal. No seasons, just life. We say goodbye to seasons and learn to embrace a unique ebb and flow all our own. Growth and milestones are celebrated as they come. We love fiercely, cry often, and learn to maneuver an entirely different world; a world with no seasons. Look for the God Moments: Our God is a God who pursues the hearts of His people. He is never absent from our every-day-less-than-glamorous, messy lives. If you have gotten to the place that God feels far removed, it is not because He’s not there, but because you have taken your eyes off of the Savior. It is easy to get so caught up in a world with no seasons, that we forget to look for the ways God is at work in our everyday lives. Look for the God moments. Look for the many little ways He reveals His presence in the midst of life. His whispers of love are in the hand held, eye contact made with your child, the song that filled your heart, and in the friend He was sure to put in your path today. In the midst of the never-changing seasons, God wants to meet us in the middle of it all. Look for the God moments to spur you on and lift you up. Trust God’s Sovereignty: Do you trust in the sovereignty of God? I hope that you do. If you find yourself in a world with no seasons, this fundamental question is of utmost importance. Hold on to the knowledge that God does not make mistakes. Your child’s disability comes as no surprise to Him. Furthermore, God handpicked you to be the parent of your special needs child. This means that however ill-equipped you feel to live in a world with no seasons, God knew you were up for the task. Although at times we feel like cowering in the circumstances of life that come crashing down around us, we must pick ourselves up and dust ourselves off. Walk in a boldness knowing that if God has called you to this way of life, He will see you through it. Find Gratitude: Although the days are hard and the nights are long, I have found a place of gratitude to rest my weary soul – so that when I breathe in the grace that God has so delicately covered the fragments that are our life, I can see the work of His masterful plan and find peace in trusting Him through the process. You see, if we didn’t know the pain of falling apart, we would never know the joy of being held together by the Lord. If we didn’t know the desperate heart cries of a parent on behalf of their child, we would never know the victory found in trusting God’s sovereign plan. If we didn’t know what it’s like to earnestly pray for healing, we would be less likely to notice even the smallest of ways that God is moving and the milestones or small victories made. Be thankful for the lessons discovered in having to depend on Jesus as your only source of strength, for some have never discovered the joy that can be found in doing this. If you find yourself in a world with no seasons, take heart. God is working in the midst of it all. When we begin to look at our season-less world as a gift, the heaviness in our hearts begins to dissipate. Do you trust Him enough to embrace a life that is so unique, so dependent upon Him, so broken and yet so beautiful, that if lived in obedience to Him…it just might point others to Jesus? And if so, dear friend, wouldn’t it be worth it all? You see me in the office and wouldn’t know I run on three hours of sleep every night. Because I am a special needs parent. By the time I get to work in the morning I have fought battles, cried, laughed, overcome, and failed. My day started hours ago. Because I am a special needs parent. I strive to ensure schedules, order, and consistency for my child who thrives on such things, while embracing the chaos of an ever changing and unpredictable disability. Because I am a special needs parent. I have learned of a deeper kind of love than I could have ever imagined. Because I am a special needs parent. I bear scares down my arms from my child’s aggressive meltdowns but they do not compare to the pain inside my heart as I’ve had to restrain him from hurting himself or others. Because I am a special needs parent. There is an incomprehensible joy that floods my soul when my child takes me by the hand or looks me in the eyes. Just one touch from his hand gives me hope that one day a touch will turn into a look, a look into a gesture, a gesture into a word, and a word into the ability to communicate. This burst of joy is strong enough to give hope that presses on until the next time. Because I am a special needs parent. Exhaustion sets in as I fight for the rights of my child. He is worth believing in. He is worth being given an education. He is worth being given every opportunity to reach his full potential. It is my daily task to ensure this happens. Because I am a special needs parent. I long for connection with others yet feel so alone and wonder who could ever understand this beautiful, crazy life we live. Because I am a special needs parent. There is no achievement too small. I have learned to celebrate even the smallest of things: One word spoken, an independent bite of food taken, a hug given...these are monumental in our world. Because I am a special needs parent. I know his facial expressions by heart and can most often predict their meaning. I understand the “gibberish” that many hear when he speaks. I know what songs bring him peace and what sounds set him off. I know when it’s time to go and when we can stay a little longer. Because I am a special needs parent. I fight for my marriage as the stresses of disability and all that it entails wedges its way into our time for one another. Tensions are high and patience is low. We learn to be extremely intentional in our pursuit of each other. I know how extremely blessed I am to have a husband to walk this journey with me. Because I am a special needs parent. Just his smile is enough. It lights up my world and fills my heart. Because I am a special needs parent. There is a balance I’m constantly struggling to find as I strive to give time, attention, and affection to my little girl who is not disabled. Because I am a special needs parent. I fail at being a good friend, keeping up with family members, remembering birthdays, and finding time to socialize. Because I am a special needs parent. I plead with the Lord on behalf of my son. Every night I present my requests to Him knowing that He is fully capable of healing my son, but also trusting Him if His answer is “no” or “not yet”. Because I am a special needs parent. Considering all these things, I would do it all over again. This precious child the Lord has entrusted to me has taught me more about life, love, and what matters most. Because I am a special needs parent. Though many times I feel so very ill equipped, I know that God has specifically chosen me to be the momma of this precious little boy. God is not in the business of making mistakes. So I trust Him and lean on Him for the strength to press on. Because I am a special needs parent. Special needs parents, when it comes to church and your child, I want to encourage you to break through roofs. I know how easy it is to stay under the comfort of your own roof. It’s safe here. We can do “home church.” We aren’t accepted by the crowd. Home is best. Boy, do I understand where you are coming from. Taking our son who has severe autism to church can be quite a challenge. We’ve not always been welcomed at churches. Even at our church now, we are welcomed with open arms, but that does not mean that it’s easy. We have successful times at church and we also have meltdown disasters. It’s a toss-up each week! …but we will keep trying. Why? Because our child’s faith journey is worth breaking through roofs. We can learn a thing or two from these men Luke writes about. These men knew the importance of being in the presence of Jesus. They obviously had determined in their hearts that this disabled friend of theirs needed to be in the presence of Jesus as well. Not only is it important to be in the presence of Jesus, but Hebrews 10:25 reminds us that it’s also important to be around other believers “not neglecting to meet together, as is the habit of some, but encouraging one another, and all the more as you see the Day drawing near.” We need each other! You need the encouragement and love of a church family and they desperately need to learn what it is to embrace the beauty of the disabled. How can this ever be unless we determine in our hearts the importance of functioning within the Body of Christ? Crowds don’t always seem to understand disability. We watch as our son is overlooked, pushed to the side, or excluded. This man was no exception. Parents, I know how hard it is to constantly fight to make a way for your child. I want to encourage you not to give up. I find more and more that it’s not that the crowd is always hateful or discriminatory, but rather it’s just that they do not know or understand disability. Misunderstanding can lead to uncomfortableness. Make a way through the crowd for your child, lend understanding where there is none, share your life with others so that they can embrace the unfamiliar. Desperation. That’s what this was. This was a won’t-stop-at-anything, climbing-up-the-roof, breaking-through-roof-tiles kind of desperation. I can only imagine that this kind of determination was birthed out of a tremendous love for the disabled man. They knew he needed an encounter with Jesus. When was the last time you were this desperate to make sure you found a way for your child to join in worship, to be a part of a Faith Family, to bask in the presence of Jesus? It’s not easy. It takes desperation. It might take breaking through roofs one tile at a time. It may look like just only making it through the door of church the first Sunday, maybe the next Sunday you make it down the hallway, maybe the next Sunday your child loudly makes their presence known during the middle of the worship service…and there might be looks and there might be misunderstanding. Because ministry to those with disabilities is messy. But parents, do not give up on making a way for your child in the church. The Body of Christ is disabled itself when not ALL members are represented and a part of its work. 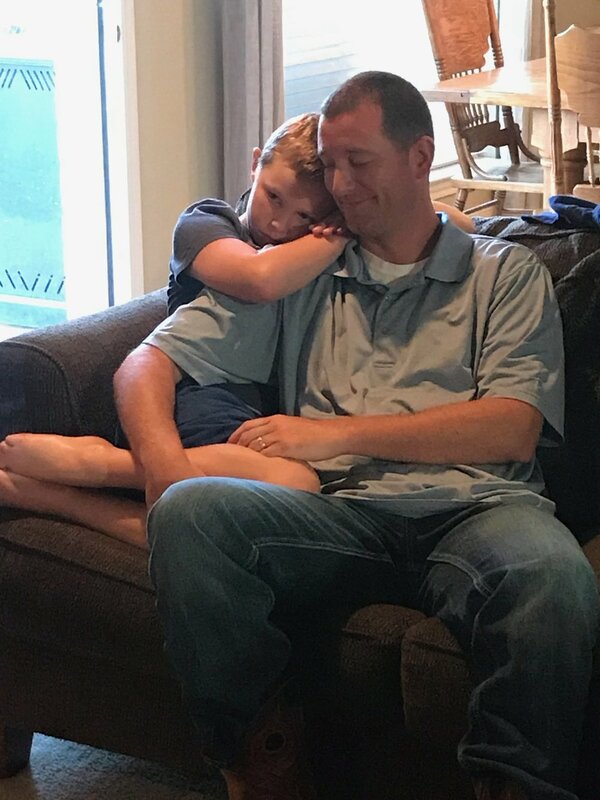 I want to encourage you that after a little over a year at our church, my son now asks “Church Please?” “Church?” “Sunday Please?” It doesn’t always look perfect. Some Sundays are a flop. But I trust that God’s Holy Spirit is going to meet him right where he is at. Our son knows that there is something special about church. It’s taken a long time to get to this point but I encourage you parents, don’t give up. Your child’s faith journey is worth making a way for…one roof tile at a time. Ezra and his daddy praying together during Vacation Bible School at church. The CDC recently reported that 1 in 59 children are living with autism. * For some, this may seem like a surprisingly staggering result. This news may even seem far removed; these children must not be here, in this town, where we live. But families like ours know better. It’s true, children living with autism actually live near you. However, it’s also true that you may not have seen them. Because for many families of children “on the spectrum,” we are families in hiding. We try to come out and join your ranks. We muster up our courage and attempt a store from time to time. Some days our children are successful with the stimuli of town and we are able to enjoy a taste of what it is like to take part in a family outing. Other times, we are less successful resulting in behaviors that cause others to stare as our courage quickly diminishes with every sideways glance and comments muttered under breath from people who simply do not understand. One disastrous attempt to be a part of society can cause a special needs family to give up for a while. It’s all so real and all so raw. It’s just easier to stay home and find our normal and our happy away from the masses who are less than forgiving. There are families in hiding in your community. They have almost forgotten what it is to be a part of a group of friends. Their children aren’t invited to parties. They cannot eat at restaurants. And with every failed attempt at finding a place within society, they shrink back and begin to wonder if it’s worth the heartache to try to belong. Please understand, it’s not that we are trying to hide our special needs child away from the world. Our children are incredible and we would so love for you to see them as we do. It’s that often times, the world hides itself away from us. The world offers us glimpses of what it might be like to join in and even offers an obligatory invitation, but the world does not stand ready or equipped for families like ours. So with every joke made at the expense of our child, with every parent who nudges their child to “go play with someone else,” with every school administrator who isn’t willing to believe in our child, with every church who has to apologize because they just “don’t have anywhere for your child to go,” and every store employee who stares and shows frustration when our children struggle in public…we shrink back into the safety of our homes. What is the average person to do? How can you possibly reach out to special needs families who are in hiding? When we can’t come to you, come to us.Our children are most successful in their own environment. They thrive on schedule, routine, and familiarity. You must understand that disability ebbs and flows. There have been times over the last eight years that our son is doing extremely well and there have been times where for his safety and the safety of others, we cannot leave the house. Trust us as parents to know these limitations. It is because of this “ebb and flow” that our dearest friends come to us. We have bible study, we fellowship, we eat together, we laugh, and we cry together. It’s not flashy, but it’s so very fulfilling. They meet us right where we are at. They get down in the trenches of life with us. Family members, don’t allow your feelings to be hurt when we cannot come to your family dinner or if we do not visit often. We would love for you to come join the beautiful mess that is often our home. It’s not that we don’t care or that we don’t desire connection, it’s that we can’t. Please come to us. A little means more than you will ever know.You have no idea what an encouraging note, text message, phone call, or dinner made will mean to a family of a special needs child. Let them know that you are thinking of them. Share something about your day with them. Give us a connection to the outside world. Let us know we have not been left behind in your mind. We have a nephew who periodically will draw a picture or write a letter to our son who has autism. Every time this happens I get choked up. They remembered us. They remembered our son. Our son proudly places the letter next to him while he plays with his trains. He knows and it’s important to him. Let a special needs family know that you care, you notice them, and that their family has value. It’s our job as special needs parents to never give up. We must keep trying to make a way for our children in the world. But the truth is, we could use your encouragement, understanding, and your friendship. That is what gives us the courage to come out of hiding to try again and again, until the world is ready to accept us. Do you know what a blessing you are? There you have been, standing in the gap, spurring our special needs family on. When it feels as though there is no place in the world for our children, you have been that glimmer of hope saying it might still be possible. It is because of people like you and the blessing you have been that we press on. To the friend who is always there for us, you are a blessing. You have blessed us by recognizing that you won’t always understand. You trust us as the parents of our special needs child and are never quick to pass judgement. Because you aren’t personally walking this special-needs journey, you are not quick to offer up advice, but rather you are a willing sounding board and prayer partner. Instead of reminding me to “take care of yourself,” you put words into action and lighten my load by picking up groceries for me or bringing our family a meal. You have blessed us with a friendship that is not dependent upon flashy vacations or the newest restaurant (because these are not our family’s reality), but rather a friendship that is deepened by prayers, tears, truth, and heart talks. You have blessed us. To the family member who wants to connect with our child, you are a blessing. You have blessed us by your willingness to listen instead of taking it personally when we try to explain the way our child “works.” You have included and not excluded. You understand that no two kids are alike (especially when it comes to special needs), and therefore you ask questions about our child. You have gotten on his level to play with him and made an effort to enter his world. You have been patient, and you have cheered him on as he grows and changes. Your thoughtfulness, consideration, love, and desire to connect with our son feeds our souls and fills our hearts. You have blessed us. To the church leader who welcomes my special needs child, you are a blessing. You have helped create a community of faith for my child who is often excluded by others. You have assigned him value, and by your example you show others what a blessing it can be to include those who are “different.” You believe the gospel is for everyone and walk this out in how you teach our child. Our son’s noises, singing, and loud laughter do not give you pause. You welcome imperfection because you know that God does his most beautiful work in the midst of the imperfect. Your heart for sharing Jesus with ALL children and your efforts to include our child allow us to come and worship. You have blessed us. To the teacher who believes in my special needs child, you are a blessing. There is a difference in being a teacher and teaching with belief. You believe. You look past our child’s weaknesses and capitalize on his strengths. Even on the weary days, you push him and never give up. You are in the fight with us: the fight for knowledge, the fight for inclusion, the fight for a better tomorrow. You have taken the time to see the heart of our child. And once you saw his heart, you refused to give up. We have watched the beauty of your love pour over our child as we have cried and planned and worked together to help him achieve his personal best. You have blessed us. Being a special needs parent can be lonely. Each of you have been there at just the right time, when God knew we needed you most. There are days in the life of a special needs parent that seem too hard and too big for us to handle in our own strength. Your presence has helped us through those days. My plea to you is this: keep doing you. The world needs your example of unconditional and selfless love. Thank you to those of you who truly believe. You have made all the difference in our life and in the life of our child! “Nichole, do you need the smile in my pocket?” As a little girl, my momma would offer me her “extra” smile when I was feeling sad. I had forgotten she used to say this until just the other day, as we all eventually turn into a version of our parents, I looked at my own daughter’s downcast face and offered, “Grace, do you need the smile in my pocket?” It was without thought that these words tumbled out of my mouth, and I couldn’t help but smile at the realization of what I had just said. But my little girl was not smiling. Not even close. It was not a look of discontentment or boredom that covered her face. There was no trace of selfishness. Instead, it was a look of deep sorrow—an emotion that flooded her heart and reflected in her eyes. I knew this look. I had seen it before. My sweet girl buried her face in her hands and wept. She wept for her baby brother. She was burdened for him as the new school year approached. She prayed that he would make new friends and that his teachers would love him; because it’s hard watching her baby brother try to find acceptance in a world where autism is still very misunderstood. This was the cry of a special needs sibling. We know that parents of special needs children sometimes need extra support and encouragement, but we often forget that special needs siblings also daily give of themselves, their time, attention, and love. They need support and encouragement too. Here are just a few things we have learned from our precious daughter. Special needs siblings are exposed at a very early age to the lack of understanding our society has for people with disabilities; many times, they feel responsible to make a way for their sibling. Special needs siblings want so much to have a connection with their brother or sister; toys, movie preference, and activities take a backseat to the possible opportunity of simply winning a glance, a smile, or even a touch from them. Just as my husband and I sit and pour out our hearts to one another about the future and well-being of our special needs son, our daughter also loves her baby brother and is concerned for him, praying desperately for him to succeed. We should always keep in mind the deep heart aches of a special needs sibling. Therapy sessions, doctor appointments, procedures, and tests ... this is the life of a special needs family. We try to remind our daughter that she doesn’t have to be the doctor, the therapist, or the teacher. “Just be his big sister” we say as she prompts her baby brother with verbal cues before she will allow him to have another pretzel bite. Disability becomes a family affair. Our homes are not like everyone else’s. Our lives have a unique ebb and flow. In the midst of all this, we desperately try to make special time for our daughter. Time that is only for her. Because many special needs siblings, by nature, give of themselves relentlessly. If you know a child who is a special needs sibling, please encourage them. They carry burdens heavier than many their age. They have also acquired beautiful gifts that take many of us a lifetime to learn. They recognize that love requires no words. They know the significance of being a friend to all people regardless of ability. They have learned to find the beauty in life amidst the struggle. They have learned to choose relationship over possessions. It’s true that special needs siblings carry a perspective of life that is weighty at times and yet equally as beautiful. The weight of these gifts should be matched by as much encouragement as we can give. Special needs siblings feel deeply, sacrifice greatly, and need our encouragement. Maybe you could offer them the smile in your pocket? I’m sure I stared at her with a deer-in-the-headlights sort of look as she spoke. “Your son is just awesome! He is talking so much and is so smart!” Of course, these are all things that I know to be true about my son, but hearing these words from another human being about my son who has autism is definitely rare. I fought back tears as the therapist helped my son into the car after a long day at the clinic—I’m not even sure I responded appropriately to her kind words. Unfortunately, these are the things that most parents who have a child with special needs are used to hearing. There is a constant dialogue between parents and caretakers regarding their children with special needs, and sadly, the conversation is often centered on areas of difficulty. Parents become beaten down and discouraged. That’s why I was so shocked when my son’s new therapist complimented him. She saw his strengths and made sure to let me know—it meant the world to me. This is such an important thing to keep in mind for anyone working with those who have special needs. You need to understand what families like mine are used to. Most of all, you need to understand the power of a positive word. Positivity is Powerful: If you are working in a special needs ministry or just happen to have the joy of knowing a child who has special needs, you need never underestimate the power of positivity. Every child has a set of God-given gifts and strengths. Look for ways to delight in the wonderful things they can do! In a world of negativity, this will fuel the hearts of both the child and their parents. In a case such as ours, it gives hope that others see glimpses of what we see when we look at our son. Positivity is Contagious: This summer my son began therapy at a new school where he is surrounded by people who cheer him on and celebrate his strengths. And guess what? He rises to the occasion. Certainly, he still has struggles, but in an atmosphere of encouragement he works hard to overcome the obstacles of autism. We must remember that children who have special needs, although they may not verbally acknowledge other’s comments, still understand what others say about them and even how they feel about working with them. Your positivity will greatly influence the trust and relationship you build with a special needs child and their family. Positivity is contagious; spreading from child to family with your ministry as its source! Positivity Does Not Mean Masking the Truth: When working with those who have special needs, truth and trust go hand in hand. Just because you encourage and focus on the positive aspects of a child, it does not mean that you should neglect to share with a parent any problems that arise. Often, parents are trying to work on medication changes or therapy changes for their child. Your input is important if there is an area of trouble. Sharing hard truths in love, covered by the positive things you see in their child, will make all the difference. Positivity is powerful and can be one of your greatest tools when working with those who have special needs. It makes a difference in the life of a child. It makes a difference to families just like mine! Is There Room At Your Table For Me? I watch my son’s eyes constantly. He may be mostly nonverbal, but his eyes speak loudly. Even when he cannot bring himself to look at me, I watch his eyes and often times, they tell me what I need to know. I watch them dart from one thing to the next in rapid motion: this usually tells me that he is overstimulated. I watch his eyes cut mischievously at me to sneak a quick glance before he does something he knows he is not supposed to do: this reminds me that despite Autism, he is “all boy” and is testing his boundaries. I am crushed as I see the frustration in his eyes: he wants to be understood. I watch his eyes light up in wonder or excitement when he sees something he desires: he notices his environment. I see the sparkle in his eyes when he is able to stare back into mine: I can see his love for me and my heart melts. Certainly there is impulsivity and many unknown factors on this Autism journey. There are days when I stare into my son’s eyes and all I can find is a lost little boy, trapped in his own reality. But more often than not, I can find him. So I watch. I watch ever so closely. I anticipate. I wonder. I take him in. Because I naturally watch my son’s eyes, it’s no wonder that I was watching them closely as we entered my parent's house for Thanksgiving dinner. I often take for granted the fact that not everyone understands what all the holiday season entails for a family with a child who has special needs, so let me give you a quick rundown of all the thoughts that were going through our heads as we joined our family for a Thanksgiving feast. How long do you think we will be able to stay? He is already a little overstimulated today. Oh goodness, there are pretty decorations everywhere. We are going to break something. Or even more, we are going to throw something and then break it! I hope they don’t mind him singing at the top of his lungs- he loves “We Wish You a Merry Christmas” right now. This may be too many people. We may have a meltdown. Will the other kids or adults acknowledge him? Hopefully he will keep his shirt on the whole time. Do you think everyone will mind if we watch “Signing Time” or “The Little Engine that Could” for about fifty times in a row? Maybe this was a bad idea. Stop thinking negatively…Maybe this will be a great Thanksgiving experience! Oh gosh, he just threw his cup into the already decorated Christmas tree…awesome. It’s true. No matter how cool, calm, and collected I try to act, there are a flood of thoughts filling my mind during large family get- togethers. Thanksgiving was no exception. So, as my anxious thoughts rose and we walked in the door to this Thanksgiving feast, I watched my little boy’s eyes for a cue. I watched him as he did his little step, hop around the large living room and on into the dining area. We have a very large family so there were three beautiful tables set to welcome their guests. Ezra noticed these tables and stared. I watched as his eyes inspected every inch of these tables with their beautiful plates and crystal glasses. He nodded his head at each place setting as though he was mentally counting the places in anticipation for all the guests to arrive and be seated. I took him in as he took in the unfamiliar tables. Ezra finally moved on from inspecting these tables and began playing with his toys on the floor nearby as we waited for other family members to arrive. I noticed that periodically, he would glance up from his toys to see if the tables were still there. As each family arrived bearing trays of food and hugs for all, my boy was not left out. Our family has embraced Ezra in such a loving way. My momma’s heart swelled as each niece and nephew greeted Ezra with a “Hey Ezra!” or a sweet pat on the back. Although my son hardly glanced up from his busyness with his toy trains, he knew his cousins were there and he knew that they had included him in their greetings. As our families sat down to eat, I asked where Ezra should sit. Without hesitation the answer was “Right here!” as I looked at a place setting with a glass plate and crystal cup; just like everyone else’s. It was as if Ezra knew exactly where to go. He walked to the table and once again nodded his head as though he was mentally counting each place setting. When his nodding made its way around the table, he stopped at his own chair and a smile spread across his face. He knew. There was a place at the table for him. He was not asked to sit at a table off to the side. He was not left to roam around the room and graze from a plate. He was not given a “special” plate in the event that he might break one of the nice ones. There was a place at the table for him, and he knew it. Was I nervous about the beautifully decorated table? You betcha. Did I have visions of him possibly pulling the table cloth with all of its adornments into a messy heap on the floor? Yep. Was it a possibility that he might break something? Yes. But my parents knew this. It was more important to them that Ezra have a place at their table than for him to be excluded or pushed to the side. And Ezra knew it. I could see it in his eyes. We didn’t have some magic dining experience. We still had to help Ezra feed himself. We still had to remind him to “Sit down, Ezra.” We still had to use his i-pad to help calm him while he was in an unusual setting. But our Thanksgiving meal was complete because there was a place at the table for Ezra. I keep thinking about my little boy as he nodded his head at each place setting when we had first arrived that Thanksgiving day. I just can’t help but imagine that he was mentally counting the chairs and wondering Is there a place for me at the table? I have heard too many stories of children with special needs being unwelcomed by friends and even family members. I know that many times precious souls just like my Ezra are brushed to the side. They are excluded. You know, it was a possibility that Ezra may not have even been able to sit with our family at the table this Thanksgiving. Some days are just not good days. Some days leave him sprawled out on the floor in a sad or even aggressive mess. But even if he had been too overwhelmed to join us at the table, he would have had a place there, saved for him, just in case. He would have known that there was a place for him at the table. Could it be that a true reflection of your heart might be revealed by whom you would welcome to your table? As the Christmas season approaches, I encourage you to make room at your table for everyone. Just because a person can’t speak doesn’t mean that they desire no communication. Just because a person cannot make eye contact doesn’t mean that they wish to not be acknowledged. Just because a person seems to be in a world of their own doesn’t mean that they are unaware of their surroundings and the things being said and done around them. Just because a person may not comment on your beautifully decorated dinner table does not mean that they do not greatly value being welcomed at it. As the Christmas season approaches, I encourage you to create an atmosphere of hospitality for everyone. This sounds easy until you take into account that “everyone” may mean that you need to be ok with singing at the table, the possibility of a broken plate, a wheelchair in the place of one of your wooden ones, a feeding tube, an oxygen tank, or an i-pad on the table. We should search the crevasses of our hearts to see who truly has a place at our table. It seems to me that the people you welcome to your table are also the people you welcome into your heart. Won’t you welcome sweet children like mine to your table? Won’t you welcome those who are often cast aside? Won’t you welcome those who are least likely to be welcome at someone else’s table? They are waiting. They are waiting for you to welcome them. I know. I can see it in Ezra’s eyes. I realize this may be one of the most controversial posts I have ever written. It has taken me months of writing, stopping, coming back, re-writing and I’m still not positive it’s perfect. But it is my heart. Every fiber of my being burns with passion over this topic. I want to share with you why you should NOT welcome my special needs child to your church. I write this from what I believe is a unique perspective. You see, I have worked in ministry for over ten years now. I have been on staff as a youth minister and a children’s minister. I have helped to develop a special needs program within a church setting. I have also been a teacher for six years collectively. I have taught classrooms full of children from all kinds of backgrounds, strengths, and weaknesses. Most importantly, I am a mother to two beautiful children, one of whom has Autism. That’s right, I am the parent of a special needs child. So why on earth would someone with my background write a blog like this? Allow me to share my heart with you. These are the reasons I believe you should NOT welcome my special needs child to your church. -YOU SHOULD NOT WELCOME MY SPECIAL NEEDS CHILD IF YOU BELIEVE THE HOLY SPIRIT IS ONLY ABLE TO WORK IN THE HEARTS OF SOME PEOPLE, BUT NOT OTHERS. Any good church goer would most likely read this and immediately say “Oh no! Not me! I believe the Holy Spirit can work in the hearts of all people! I would never limit what God could do!” And I would challenge back with this: Many times we (the Church) say such things with our words, but our actions do not hold up. Does your church offer anything for special needs children? Do you know? 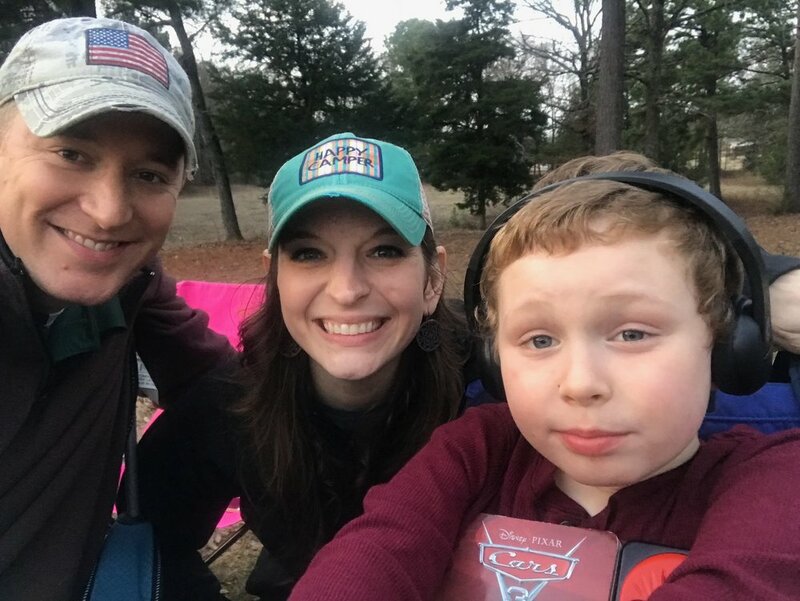 Instead of preparing a Bible story for special needs children, does your church place them in a nursery setting and give them a toy and some movies? As the parent of a special needs child, I beg you, please do not pre-determine who is able to be reached by the Holy Spirit. Church leaders, I want to encourage you that your job as an ambassador for Christ is to prepare to the best of your ability, to teach God’s word, trusting that the Holy Spirit will do exactly what He has promised to do: “But the Counselor, the Holy Spirit, whom the Father will send in my name, will teach you all things and will remind you of everything I have said to you.” – John 14:26 You do not have to be a special education teacher to share about Jesus’ love with these children. You do not have to have sensory activity based learning, Bible centers, or offer ABA therapy. Your job is to present a sacrifice of your time and preparation, your love for others, and your love for Jesus…and share it. Share it with children as best as you can. Tell them a Bible story, tell them about Jesus’ love and sacrifice for them, tell them how God created them with a plan and perfect purpose for their lives! And then trust that the Holy Spirit is going to do what He says He will do. Yes, some parents of special needs children are just thankful for the respite of having a safe place for their child to stay while the rest of the family goes to worship. But why would the church want to miss out on the great opportunity of sharing Jesus with these special children? These are children who are often times excluded, laughed at, looked at, and pushed aside. For those of you who DO prepare a lesson for these precious children, thank you. I want to tell you something very important: they are listening. They may not be making eye contact with you, they may be singing, spitting, or spinning, but they are listening. I firmly believe that God’s Word does not return void (Isaiah 55:11). It is not man’s job to determine who is able to be reached by God’s Holy Word. His Word is for everyone and His love is all encompassing. -YOU SHOULD NOT WELCOME MY SPECIAL NEEDS CHILD TO YOUR CHURCH IF YOU BELIEVE THAT CHURCH IS NOT A PLACE FOR THE “MESSY”. It should always be for the great love of our Lord that we would want to present the Bride of Christ, the church, in the best way we can by taking care of church facilities. I understand this completely. But my heart breaks for the church that has lost sight of the God given mission of the Church. The Church was never meant to be a pristine, social gathering of perfect people sitting in Church bookstores or coffee shops. These outreach tools in and of themselves are fine, but let us never replace the gift of human compassion, connection, and our mission to serve with only tools. This I know: Jesus knew how to get messy. Jesus placed His hands into the wounds of the hurt, He surrounded Himself with the “unclean”, He loved the “least of these”, He cared for the broken, and He washed the dirty feet of the disciples. Jesus knew that ministry is messy. I can promise you this, special needs ministry is messy too. There is nothing very cute about changing a five year old’s poopy diaper. It is not very glamorous to wipe drool or to help change soiled clothes. My special needs son is not going to sit quietly during your Christmas Cantata and he very likely will hurl his sippie cup up on the stage in the middle of your sermon (it’s true, it happened). Welcoming those with special needs into your church will cause you to have to think about wheelchair ramps and points of accessibility. Welcoming those with special needs into your church might be a little more noisy, might require more volunteers, might cost your church money, and it WILL be messy. But Oh, dear Church, do not forget that Jesus loves and came to serve the messy. What if the Church began to serve “the least of these”? What if Church was a place where those who cannot care for themselves would be cared for? What if Church was a place where dirty diapers where changed, drool was wiped, and the outcasts were accepted? If Jesus, the Messiah, Lord of all Creation, came to serve the “least of these”, shouldn’t we? What if we have it all wrong? What if Church could be a haven for the “messy”? -YOU SHOULD NOT WELCOME MY SPECIAL NEEDS CHILD TO YOUR CHURCH IF YOU DO NOT RECOGNIZE THAT “SPECIAL NEEDS” IS A MISSION FIELD. In the book of Matthew, Jesus gives his disciples the “Great Commission” telling them to “Go and make disciples of all nations…” (Matt 28:19). As the church, as Christians, it is our mission to share with others the unconditional love and grace of Jesus Christ. We send out missionaries all over the world to share the good news of salvation. Praise the Lord! But did you know that there is a mission field, right here in America, that is not being reached? Did you realize it is estimated that nearly 90% of special needs families do not attend church? I can give you a pretty good reason why this statistic is what it is just based on personal experience. It’s so hard. 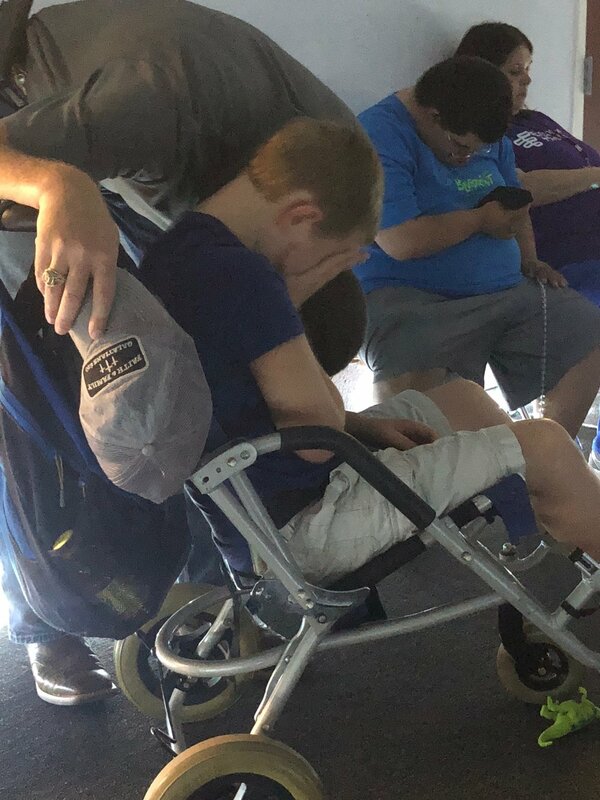 Did you know that most parents of special needs children who actually make it to church on any given Sunday have probably had much less sleep than you, many have faced several huge obstacles, and are literally hanging on a prayer that “this whole church thing works today”. It’s hard to take your special needs child into a huge crowd because (usually) it overwhelms them. It’s the look of panic or sheer terror on the church worker’s face when they see your child bounding through the door. It’s worrying if the ministry workers will truly care for your child while you are at worship. It’s wondering if I can truly say “let’s go to church and learn about Jesus!” or if my child will actually just be sitting in a room while the volunteer nervously watches the clock. It’s wondering if anyone would actually be able to relate to you and your family. It’s worrying about the safety of my non-verbal child who cannot tell me how he was treated by those who care for him. It’s wondering if you’re truly going to be accepted or just tolerated. My husband and I both grew up in church and are quite determined to have our family there each Sunday, but even for us, it can be discouraging at times. Dear Church, there is a mission field of tired, overwhelmed, and often times questioning people who are just waiting to be loved, included, noticed, and accepted. But let me warn you, this is not a mission trip that you can just donate to or visit for one week and walk away. If your church should accept the mission to minister to special needs families like mine, it will be a continuous labor of love. I beg you, Church, to not claim to have a “special needs ministry” unless it is truly the heartbeat and conviction of your church. I have seen what it is to have a church with a “special needs ministry” but it is not the passion of the congregation or the passion of the pastor. I have been the guest of churches who have a “special needs ministry” where there is no heart behind the ministry. Parents of special needs children pick up on this very quickly and for many, it is their first and very last time to “try church”. I have visited churches that have an undeniable passion for special needs families. I have seen what can be when a congregation embraces this mission as their own. It can be a very beautiful thing! Special needs families just like mine are not welcome very many places. As a whole, public places are not our friend. Special needs families long for community and connection because it is rarely offered to us anywhere else. Would your church please pray about this widely un-reached mission field? If your church will not reach out to a family like mine, who will? We are falling into the cracks, unnoticed. - YOU SHOULD NOT WELCOME MY SPECIAL NEEDS CHILD TO YOUR CHURCH IF YOU BELIEVE THAT GOD DOES NOT SPECIALLY CALL EVERY MEMBER OF THE BODY OF CHRIST TO SERVE. 1 Corinthians 12:27 says “Now you are the body of Christ and each one of you is a part of it.” If you are a Christian, then you are a part of the Body of Christ. If you are a part of the Body of Christ, then according to 1 Corinthians 12, you have a “part” or a job to do. You see, God has given all of us gifts and talents to be used for His glory. The Church is supposed to function as one body of believers with all of its different members serving through their gifts and talents for the sole purpose of glorifying God and furthering His kingdom. I am not a super gifted person, but even I have been given “strengths” in some areas. These strengths or “gifts” as the Bible calls them, were not suddenly zapped out of my system when I birthed a special needs child. On the contrary, I, like many other parents of special needs children, have gifts that God says are important to the Church. What’s more is that I still greatly want to serve. I believe there is a supernatural, wonderful thing that happens when a believer is serving in the very way that God created and called them to serve. It fuels my heart and uplifts my spirit. It’s true, many special needs parents want to serve. What is also true is that many times we are not able. We are desperately searching for a church that will allow us the opportunity to serve, a church that values us, a church that believes we have something special to offer. We are also desperately searching for a church that will look upon our special needs child as part of the Body of Christ…which means that he too has something very special to bring to the body. In many ways, special needs families are being “cut off” from the Body of Christ. Oh Church, please do not let this be! If the Church does not find a way to include special needs families, it will hinder any possibility of these parents or children being able to contribute to the Body of Christ within the Church. It will make it very hard for these parents and children to do the very thing that God has charged us to do. The truth is, I wish you would welcome my special needs child to your church, but for many, there is a work to be done first. Please check your heart and the heart of your church. There are families slipping through the cracks…90% of special needs families to be exact. The Church has a great opportunity to be the hands and feet of Jesus. Who will take up this cause? It will take work and preparation, it will be hard, it will be messy, and it is not glamorous. But, dear friends, it will be so worth it. I have learned that no words are necessary between two hearts. I have learned that brokenness can truly turn into something beautiful. I have learned to let go. I have learned that some things are more important to hang on to than others. I have learned to dig deep and pray hard. I have learned to Love in a Different Language. Thank you for joining me on this journey of parenting, Autism, and sharing about the faith that holds it all together! Please don’t judge me. If I had had some change or a few extra dollar bills that day, I might have donated to the cause. It’s a great one! And as for my cashier compatriot, he was just doing his job. Maybe he needed to meet a quota. Maybe he doesn't even really know what Autism is. But the irony of the whole situation struck me as sort of funny. Judging by the body language and harsh tone of my cashier compatriot, I believe it’s safe to say that although his store was helping to promote “Autism Awareness”, he just doesn't get it. In case you were not aware, April is “Autism Awareness” month. You have probably seen collection jars at cash registers, heard a little more about Autism and statistics on the news, seen t-shirts with the Autism symbol (a puzzle piece), there have been “Buddy Runs”, and possibly you have seen blue light bulbs (the slogan is “Light it Up Blue for Autism Awareness”). This is all so wonderful! I am so thankful for Autism Awareness month. I am so thankful that there is a month dedicated to helping others understand and support families who walk this Autism journey on a daily basis. While all of this lends itself to great publicity and the raising of funds, my prayer as the parent of an Autistic child is that for every person who gives and listens that it would not just end there. Autism Awareness is so much more than pennies in a jar, a puzzle piece t-shirt, or a blue light bulb. True Awareness is a change of heart. It’s the realization that not everyone is the same, and that’s a beautiful thing. Autism Awareness is not passing judgment, it’s acceptance and understanding that some are “different but equal”, it’s the true belief that everyone has been “fearfully and wonderfully made”. True Autism Awareness is thinking outside of our “Cookie Cutter Culture”, and embracing those who may live and act differently than what has been considered “normal”. It’s the understanding that every life has purpose and value. Autism Awareness is the knowledge that some people are facing some very large battles on a daily basis-and doing something about it. It’s digging deep, a shift in perspective, and the ultimate display of unconditional love. Giving to organizations and institutions that help families affected by Autism is wonderful. We need these organizations and institutions. They are so very critical to families just like mine. But please don’t let that be the extent of your “Awareness”. Can I plead with you for a “heart-change”? Because I can tell you, as the parent of a special needs child, a “heart-change” is what our culture needs. Love deeply. Be accepting. Be willing to shift your perspective. And be ready for your heart to swell with a new kind of love and “Awareness”. True Autism Awareness could be a very beautiful thing! Lighting it up Blue for Autism Awareness!! I wandered down the hallway this New Year’s Eve, to the bedroom of my sweet little boy who was snuggled up and sleeping soundly in his bed. I peered in and watched his little body rise and fall with each breath. So precious. Such a blessing. Such a little puzzle. So thankful. As most people do when ringing in a new year, I began to think of all that this past year has held for us. I began to think of Ezra. There have been so many trials and so many triumphs. There have been rock bottom moments such as the time I had to lay sprawled out in the middle of the store parking lot with cars honking at us while my Ezra had a complete meltdown or my coming unglued with a lady in the grocery store (See 1 in 50: My Supermarket Story). Oh yes, there have definitely been struggles this past year. There has been a struggle to connect, physical struggles, emotional struggles, coming-to-grips-with-our-new-reality struggles, and I’m sure I could go on. But there have been triumphs, sweet victories, and precious moments. I never want the struggles to cloud out the good in my memory. I think that’s right where the enemy wants us- remembering only the darkness and forgetting the Lord’s mercies in our lives. This past year, I was able to hear Ezra (at 3 years of age) say my name for the very first time. There is no sweeter sound than hearing your Autistic son say “Momma”. This past year, Ezra began to go to school, he rode the school bus, he began singing, began to try self-feeding, has started walking holding hands, has started to communicate his wants and needs in his own special way, has begun to connect with his sister, and again, I’m sure I could go on. There have been many tears shed this past year; tears of joy and tears of sorrow. I can honestly say without hesitation that I am thankful for each moment. This journey of Autism has caused our family to dig deep, decide what’s most important, allow ourselves to be vulnerable, to reach out, to not be ashamed to cry, it has given us new perspective, and has taught us how to love in a different language. Without the struggles, the victories would not have been so sweet. I have found a way to be thankful for the storms and never want to take for granted this life that the Lord has blessed me with. I have no idea what the Lord has in store for us this new year. I do not know what the future holds for Ezra. If I’m not careful, I can find myself feeling anxious for my sweet boy. That’s when I remember. I remember the Lord’s faithfulness. I remember that He does not ask us to walk this journey alone. I remember that He has a plan and a purpose for each of us. I remember His unconditional love. I remember that His mercies are new each morning. Dear friends, as you look back at 2013, do not let the trials overshadow the triumphs. Do not overlook the blessings to only focus on the blunders. As you look forward to 2014, do not let your heart be anxious. We are not always guaranteed easy, but the Lord promises that we never walk alone. Hang on to His promises! Thank you for allowing me the opportunity to share our story with you. I have so enjoyed your feedback, emails, comments, and prayers. I wasn’t sure about this whole blogging thing when I first started, but you have made it something very special. Thank you for reading and being a part of our lives this past year. Enjoying New Year's fireworks with my Ezra man! It’s that time of year…Facebook pages are filled with daily “thankful for” lines, children are coerced into saying crazy things like “I’m thankful my mom makes me eat asparagus”, there are thanksgiving programs, thanksgiving dinners, thanksgiving songs, and thanksgiving prayers. This is a season to reflect on all the many blessings the Lord has given us. It’s a great season. I have so much to be thankful for. The Lord has blessed me and my family in so many ways. As I have reflected on all these blessings, my heart is overwhelmed by God's goodness. At the same time, my heart is heavy for those who find themselves in the midst of a storm. You see, if you are in the midst of a storm and its Thanksgiving, there is almost a resentment that can build up in your heart. How do I know? Because this time last year, I believe that’s where I was at. This time last year I struggled to find true thankfulness (or contentment) for the place we found our family in. Yes I was thankful that our needs were being met, yes I was thankful for family and friends, yes I knew that God was in control and that He had a plan, yes there were a great many things that I had to be truly thankful for, but for some reason the weight of my son’s diagnosis of Autism loomed like a heavy fog that I could just not break free from. Most of this was a fog of fear. Ezra’s diagnosis had not come as a surprise to us. I had known early on that something was “different” about my sweet boy. But last year the fear of the unknown and the severity of my child’s diagnosis began to set in. I was still able to find joy in life but there was just a sadness in my heart for my sweet child. The realization began to set in that this was not an illness to be cured with an antibiotic, I could not put a band aide on this or kiss it and make it all better. This time last year, I carried a heaviness and I certainly was not at the place to be thankful for any of it. -I am thankful for a deeper faith produced by depending on the Lord for so many things. -I am thankful for Ezra and how his life has completely changed our outlook on life, love, and what is most important. - I am thankful for a love that needs no words. - I am thankful for the good days. They are so sweet, so precious, such treasures. - I am thankful for the bad days. They have taught me to find a strength I didn't know I had. Without them, the good days wouldn't be as sweet. -I am thankful for deep hugs. -I am thankful to have a daughter who is one of the most compassionate people I have ever known. She is such a precious gift. - I am thankful to have a family that finds strength in the Lord and in each other. - I am thankful for the opportunity to learn how to Love in a Different Language. - I am thankful for the family and friends that have never left our side. Even though our lifestyle may look different from most, they have continued to cover us in their love and support. - I am thankful that the Lord holds me in the palm of His hands. I am never alone-even in the storm. Thank you Jesus! I pray your hearts are full this Thanksgiving, but if you find yourself in the midst on the storm, hold on! The Lord is merciful, the Lord is mighty, He has a plan, and He never leaves us on our own. I pray that one day, you too will be able to look back and be thankful for the storm- its a different kind of thankful. Lord, how can I keep from singing your praise?! Thank you! How do you make a connection to a child that does not talk? What about a child that will not look you in the eyes? How do you connect with a child that cannot always tolerate being touched? These are questions that my family has had to wrestle with. Every child is different. There is a reason for the term “Autism Spectrum”. Autism covers a very broad range of things. You may have heard the quote “Once you have met one child with Autism, you have met one child with Autism.” How true! Doctors have told us that our son has “severe” Autism. Whatever that means? But, instead of focusing on how severe, not severe, or where on the spectrum our child might be, we just focus on our child. Autism is not who Ezra is. We focus on capturing the heart of our little man. This is easier said than done. I cannot connect with Ezra the way that I do with our daughter, Grace. We have had to learn how to Love in a Different Language. I can tell you this, you will not make a connection with Ezra by standing over him, sitting in a chair above him, or from calling his name from across the room. If you sincerely want to connect, you need to stop, drop, and play! Try to get into his world. Do not expect him to get into yours. Make yourself available. Do not expect him to seek you out. Try to be open and go-with-the-flow. Do not have preconceived ideas about what this connection should look like. Sit patiently and wait. Do not push yourself into his play. (Even if he NEVER makes eye contact with you, he KNOWS that you are there.) You will build a connection simply by sitting quietly near him and patiently making yourself available. In a way, it really is the most simplistic of ways to connect that reaches Ezra. So many children want to be entertained. Many adults feel the pressure of competing against the gadgets and things that hold their children’s attention and interest. With Ezra, there is none of that. Come in your sweats, come without an agenda, come with no makeup, come without the biggest and newest toy. There are no prejudices here. Come wait patiently, come wait quietly, make yourself available, watch his mind at work, study what he is studying, and stop, drop, and play! …and if you patiently pursue him, you will make a connection. To me, Ezra is a very beautiful and unique name. Our Ezra was named after his Great Grandfather, William Ezra Crew Huggins. We really wanted to use a family name and we loved that “Ezra” also happens to be a biblical name. And then, on a very special, very snowy day in December, my “little helper” was born. He was perfect. Such a beautiful baby. Our hearts were full. We came home from the hospital full of excitement and expectation. Our family was complete! We looked on with joy as our sweet daughter kissed her baby brother and named him from that day forward, her “Ezra Brother”. What a joyous time! The next few weeks to follow, honestly all sort of blur together. My sweet “little helper” had a shrill scream that I had never heard a baby make before. I couldn’t calm him like I had been able to our daughter. He reacted to noises differently…or sometimes he wouldn’t react at all. As months past, it became more and more apparent that something was wrong. We began to pursue testing. My sweet Ezra failed several hearing tests and although that was concerning, at least we thought we had an answer. So, then there were appointments, and there were more tests, and there were doctors that acted like I was a young, paranoid mom, and we would get brushed aside… Don’t get me wrong, there was still a lot of joy in our home and many hugs and snuggles, but it was now apparent that my “little helper” needed some help. Our fight for answers took a while. We moved home to have the support of our family and close friends. We had to push our way through the medical “system” and fight to gain the attention Ezra needed. And honestly, by the time Ezra was given a firm diagnosis of “Autism”, it really was no surprise to us. My precious “little helper” requires a lot of care. My “little helper” requires a lot of patience. My “little helper” requires a lot of compassion. My “little helper” requires a lot of help…and probably will for a very long time. But oh, how thankful I am for my “little helper”! You may think that someone who requires so much care, patience, compassion, and help would not be much of a “helper” themselves, but you would be very wrong. I have learned more about life, love, priorities, family, and patience in the last three years of Ezra’s life than I have ever learned before. He has helped me to see beyond what is considered “normal” and to see to the heart of an individual. He has taught me to look at every person with so much more value. He has taught me that there are some things worth raising a ruckus for and to speak up for those who cannot speak for themselves. He has taught me to live “all in” each moment, to take joy in the little things, to cherish even the smallest of accomplishments. He has taught me how to love in a different language. I could spend a very long time telling you all the ways that Ezra is my “little helper”. I feel so very blessed to have the honor and privilege of being Ezra’s mommy. Story time with my Ezra! Of course, it's Thomas the Train! I had always said that if we ended up having two children, a boy and a girl, that I hoped the boy would be the oldest. I wanted him to be the protective older brother. As life turned out, we do have two children and we do have a boy and a girl…but Grace came first. How thankful I am that His thoughts are not my thoughts and His ways are not my ways. How thankful I am that Grace is Ezra’s big sister! Being the big sister of a brother with Autism is quite a special job. Being the big sister of a brother with Autism means many family trips to doctors’ offices and waiting rooms, listening to the same songs over and over again, joining in on therapy sessions, sleeplessness when brother has had a rough night, and having your princess dolls beheaded and catapulted across the room. Being the big sister of a brother with Autism takes a lot of patience, unconditional love, selflessness, compassion, sacrifice, and understanding. That’s a lot to take in for a five year old little girl! There are definitely times that Grace struggles. Often times she will have to give up something that she is doing because Ezra is having a rough day. Our family is not able to go and do some things that the average family is able to go and do. Our family does not necessarily look like an ordinary family. But with all of the sacrifices and struggles involved, Grace handles them with such compassion and thoughtfulness. I believe the Lord is using Ezra to develop a maturity in her that can only come from having a sibling with special needs. Sometimes I wish we could all be as accepting and caring as children. Grace very lovingly refers to Ezra as “My Ezra Brother” and likes very much to introduce him to everyone she meets. Although Grace does not necessarily understand the word Autism yet or know all of the “Spectrum” lingo, she does understand that her brother is a little different from other kids. It almost seems that because of this difference, she has made it her own special mission to introduce him to the world as her very special “Ezra Brother”. Grace will remind others “Say hello to my Ezra Brother” and “Don’t forget to say goodbye to Ezra!” She is always looking for ways to include him as much as possible. Grace daily impresses me in the way that she interacts and responds to her baby brother. I believe there is no greater therapy for Ezra than to have his sweet sister “get into” his world. Grace pushes him to interact, she initiates play with him, she knows how to help calm him down, and she knows how to cheer him up. We do a lot of Sign Language in our home and Grace has become our “Sign Language Police”- she knows just about every sign and corrects us frequently! Sometimes I have to remind Grace that she gets the great honor of being the big sister but she does not have to be the Mommy and Therapist as well- she is always so eager to work with Ezra. I believe Ezra knows without a doubt how much his big sister loves and adores him. Not too very long ago I spent a good hour sitting on the floor outside of the kids closed bedroom door, just listening. We had put the kids to bed and it sounded like Ezra was probably going to have a rough night. He began to cry and hit the bedroom walls. All of a sudden I began to hear Grace’s sweet voice singing at the top of her lungs. She was belting out as many of Ezra’s favorite songs that she could remember, one right after the other. I sat outside their closed bedroom door and just listened as Ezra grew calmer and calmer. That night Grace sang her baby brother to sleep and I just sat with tears streaming down my cheeks on the other side of the door. Thank you Lord for moments like these! I am so thankful that His thoughts are not my thoughts and His ways are not my ways. I am so thankful for the very special way that the Lord designed our little family. I am so thankful that Grace is Ezra’s big sister. I am so very thankful for the sweet relationship that Grace and Ezra have with one another. Although it is hard at times, I am thankful for the opportunity that Grace has to learn to Love in a Different Language- I believe it is all part of God’s great plan and is helping to shape her into the very special person He has created her to be.